Devi (Chennai, India) on 10 April 2018 in Plant & Nature and Portfolio. Magnifique, que de fleurs superbes. Et bientôt dans ma tasse. Ils sont beaux ces manguiers !! Vive les fruits ! Oh how lovely this is! I've never seen a mango tree in blossom before! What a great display it shows! A great blossom picture. It will be interesting to see the fruit. 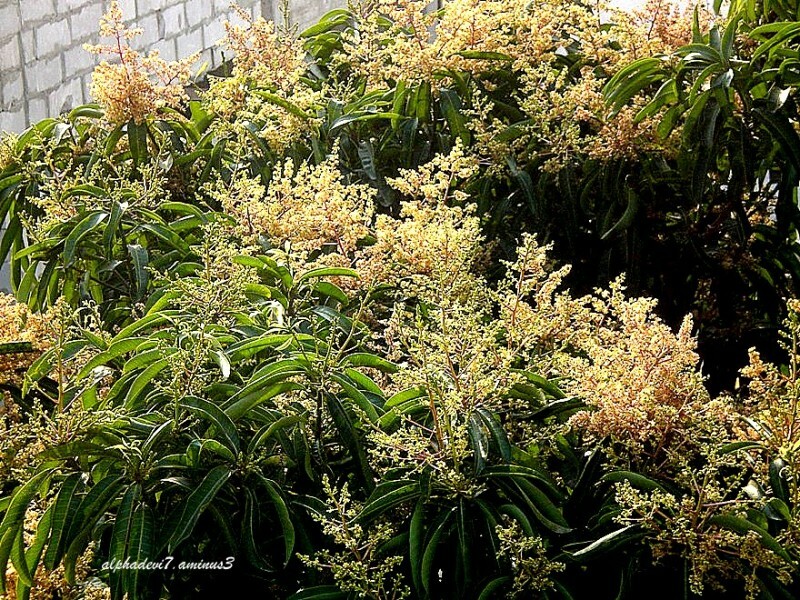 What a Beautiful image of mango blossoms. I like this. It is a shame for God for all this blessing and abundance dear DEVI. Lots of mangos on the way. A pretty capture of the tree in bloom. That is amazing! Yes, there will be a lot of mangoes soon! It will be a w mango wonderland. @Lewis: Yes...we in the building have fourteen apartments, two security men and a gardener and a charwoman..we all share the booty..and of course the squirrels, pigeons and mynahs and crows have their share too. Magnificent tree in full bloom! @Mireille T.: Yes...but not all of them become mangoes !!!!!!!!!!!!!!!!!!! !